Gripping and pulling done in single operation. 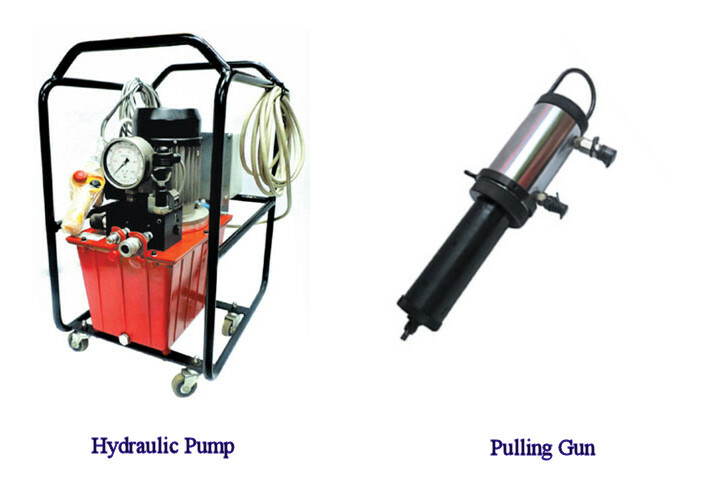 Compact and lightweight pulling gun, easy to operate inside boiler drum with 24 Volt DC control. Auto ejection of tube after removal. Remove tubes without any damage to tube sheet. Auto Switchover from low-pressure high flow to high-pressure low flow on load and back again when load is released. Low setup time and ease of operation. 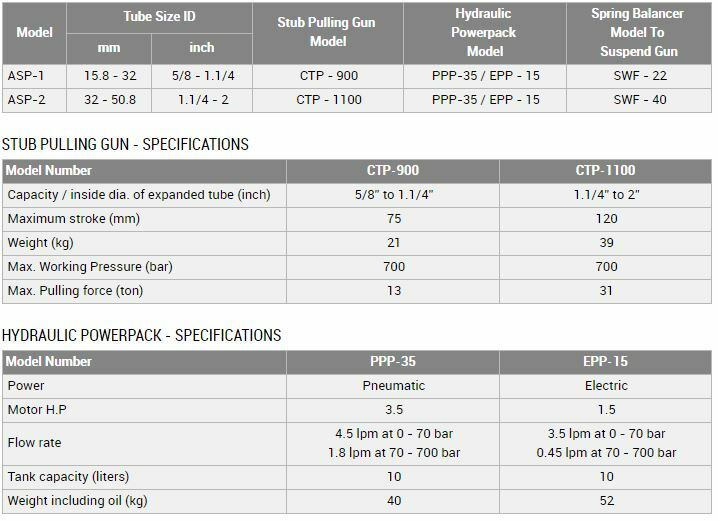 Interchangeable pulling gun with same power pack. 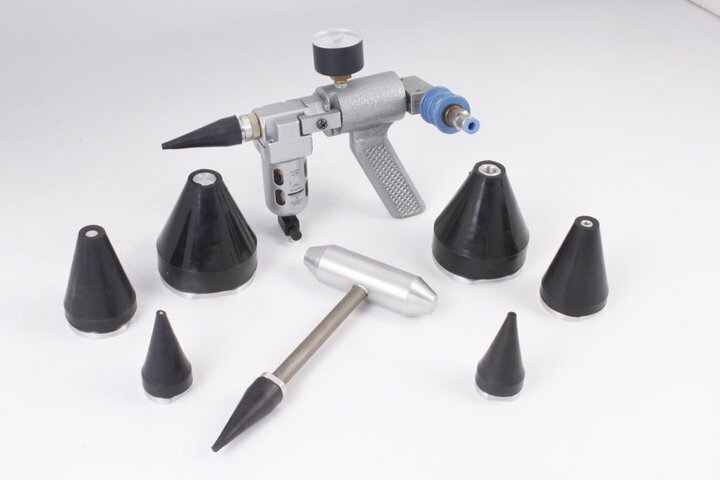 Significant savings of time & money over conventional methods of stub removal. 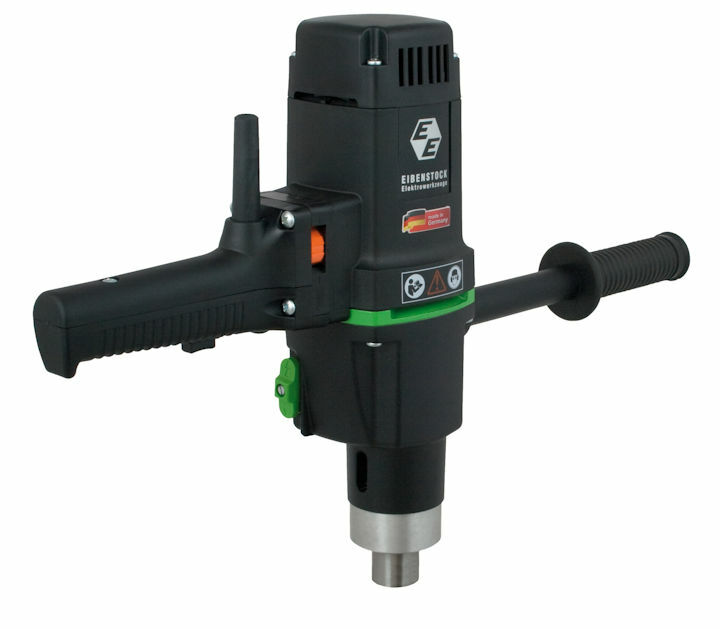 Pneumatic version available for hazardous and explosive areas. Can pull from 15.8 mm to 50.8 mm I.D. tubes. Note:5 meter long remote control and 5 meter long hose sets are supplied with the power pack.